Cornerstone Christian Academy is honored to be fully accredited by AdvancED, formerly known as the Southern Association of Colleges and Schools (SACS), the premiere accrediting association in the United States. We once again received an excellent rating on our accreditation evaluation, which occurred in March 2016. 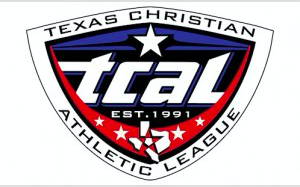 Cornerstone Christian Academy is also pleased to have memberships in the Texas Christian Schools Association, National Christian School Association, Private School Interscholastic Association, Texas Christian Athletic League, National Honor Society, and National Junior Honor Society. The Stanford Achievement Test (SAT) is used at our school to evaluate progress in our students and is proud to report that our students place above average in all testing with many placing in the top 5-10% in the nation. Our students receive a well-rounded, challenging education with individualized opportunities for advancement.